Book review: The Glory of Forest.. There are so many Forest books out there – there’s been a real glut of autobiographies in particular at the moment, I’ve still got somewhat of a backlog of books to read through which I’ve struggled to find the time to do – so in many ways the last thing I wanted was a preview PDF a new Forest book by Alex Walker (of LTLF fame). The premise of this tome is a collection of Forest-inspired lists celebrating what is good about Forest’s history (let’s not forget that Alex was part of the team that brought us the LTLF fanzine that rather optimistically attempted to put the fun back into supporting Forest!). Let’s face it, our history is a rich vein of amazing feats or strange innovations. So I figured that I could skim-read a few of the entries to get enough of a view to pen a review of the book and go back later to look properly. I must admit, I did get a bit absorbed and have read nearly all of it – there’s a great balance of things-what-I-already-knew told in a witty manner combined with a few new things I’ve learned (and I think a couple of mistakes, which Alex was delighted to hear about from me!). Some lists are straight-up fact based, most are more emotive as most football-related rankings will always be – some are downright controversial. I mean, a whole book of lists inspired about Forest and not even an entry, let alone an entire list, features Brian Rice! You’d think that 21 lists of Forest facts with a bit of blurb would be short – but there’s plenty in here. Obviously some notable figures feature more than once in the lists – and it’s great to see figures from throughout Forest’s colourful history looming large throughout. Contrary to what folks who support other clubs would have us believe, life did not start nor end with the arrival and departure of a certain Mr Clough at the City Ground – although that particular figure of course features heavily throughout. For just a tenner and a convenient release date just before Christmas it would make a great stocking filler for any Reds fan – you could read it cover to cover, or dip in to the lists that tickle your fancy at any point. It can be ordered from this website (where you can also find extracts), or you could buy directly from Alex in the Trent Navigation Inn after the Hull City game on 1st December where the book is being officially launched. If you were writing a fictional film about football and had as the lead character a man who liked a drink and a smoke, was over-weight, generally scruffy-looking and had recently suffered a cartilage injury, then you had this man revive his career in a Second Division promotion campaign, you’d have something that might go in the same gritty realist bracket as This Sporting Lift. With a bit of artistic licence, you could maybe stretch the realms of possibility to have this loveable rogue be the key creative force of a team that stormed the First Division and won it with games to spare. But even Hollywood execs would laugh you out of the door if, for the final act, you had your hero go on to set up the winning goal in one European Cup Final and score the winner in a second… even if you had Brian Clough among the supporting cast! A highly enjoyable read that absorbed me much more than I had time for it to do, so now I find myself frantically finishing things off I was supposed to be doing whilst basically reading the whole book rather than skimming it as I had intended. Thanks a lot, Alex! I like Sheffield Wednesday. Not sure why, always have – so I look forward to playing them, and with 4,500 travelling fans there should be a boosted atmosphere at the City Ground as we tend to lift our game in the midst of a decent set of visitors. November has been a stuttering experience for Forest after an excellent October (an October that sees Sean O’Driscoll up for manager of the month award – well deserved, although I bet he’s under tough competition from Kenny Jackett of Millwall). We’ve not picked up a win since beating Barnsley 4-1 at their place, so hopefully another South Yorkshire visitor will be amenable to us snagging the points. On the team front there’ll be no opportunity for Marcus Tudgay to haunt his former club, he’s been loaned out to Barnsley to get first team action. The timing of this could be risky, as Simon Cox picked up an injury during the Republic of Ireland’s defeat by Greece last night – hopefully he’s okay. Guedioura came through Algeria’s game unscathed. Daniel Ayala may have a chance of returning from injury, although Dan Harding remains a doubt as he continues to recover from his hamstring injury. Sam Hutchinson remains unavailable too. As for the Owls, they have O’Grady out and a possibility of Lines returning from his injury. They’re supposedly after Connor Wickham on loan from Sunderland – hopefully not in time to face us! After a promising start to the season Wednesday have been faltering somewhat of late – and seem particularly prone to dropping points on the road. They’ve picked up just five points from a possible twenty-four. Whilst we are draw-heavy, we’ve only lost one in the last eight run-outs so the form book would suggest that we ought to be able to win. Said that before though, haven’t I? Forest’s defensive uncertainty continues to be a concern – that’s no disrespect to our defenders, but the constant chopping and changing through injury is somewhat less than ideal in helping these players build and understanding. The other thing to look out for is the Owls fans who are hosting an impromptu ‘Semedo Day’ in honour of their midfielder – this apparently involves them donning Semedo masks, and bringing inflatables and props in the colours of Portugal. Pretty random, huh? Sounds like fun though – fair play to ’em. I’ll be disappointed if we don’t see a considerably improved performance than we mustered in our last game at the City Ground (and indeed away from it), and if that happens we should be able to get the result we want. Then it’s off to the Arena to hopefully witness Carl Froch give Yusaf Mack a damn good panelling too! A trip down Fosse Way for the Reds to high-flying-but-stuttering-a-bit Leicester City should prove an interesting encounter. After an excellent October we came crashing back to Earth with a bit of a shoeing at home to Millwall, but have gained back some respect points with a dominant showing over Middlesbrough – which brought back questions over our conversion rate of chances created. Leicester had ascended to the top of the table but subsequently have found things a little tougher – they managed to halt a mini-losing run with a draw up at Bolton in midweek having lost their previous two games against Crystal Palace and Watford. So whilst a number of places separate us in the league, we’re just four points behind the Foxes. More pressingly, we’ve found ourselves a point behind Derby as well – which needs remedying as soon as possible! On the team front we’ll be missing Sam Hutchinson thanks to his knee injury, who has Daniel Ayala and Raddy Majewski to keep him company on the sidelines. Whether Jermaine Jenas has recovered sufficiently from his foot injury is something that Sean will decide later. Leicester are missing St Ledger and Vardy through injury and new signing Keane is a doubt. Whitbread is available following suspension. A glance at the history books shows a pretty close record between us – Leicester have the edge though, with 39 wins over us through the years to our 37. It’d be nice to redress the balance a bit! With both sides looking to get back into winning ways it’s a tough one to call – but well, we never seem to do particularly well at the Walkers Stadium (alright, the ‘King Power’ stadium!). The other thing that I noticed was the referee, Anthony Taylor. I’ve had some very cross words about him before (here and here), so let’s hope that in the intervening years he’s learned a little more about his job! Mind you, we won back on 1st January 2008 despite his best efforts – so maybe perversely it’s a good omen? Must admit I don’t hold out much hope for this one – Leicester are a solid side and will prove a challenge, and obviously with the fixture having considerable significance at their end of the A46 it might give the home side that greater sense of urgency. Hopefully Sean can pull something out the bag and get us a much needed three points, though! Oh, and the other thing worth point out is after the Leicester City bugler has finished playing the Last Post they are planning a silence for Remembrance Day – whether that will be well communicated to the fans or not tends to be hit and miss, so try to keep it in mind and let’s try to mitigate for any fans inadvertently appearing to be disrespectful. Back to the City Ground having seen out a most excellent October, Forest will almost certainly be looking to bank three points from visitors Millwall at the weekend. Of course, the Lions might well have something to say about that, who travel north on the back of handing out a 4-0 drubbing to Simon Grayson’s Huddersfield side. On the team front we’ve a mixed bag of positives and negatives – the great news is that Jermaine Jenas has extended his loan with us from Tottenham for a couple more months, and Adlene Guedioura returns from his suspension. Less positive is the continued unavailability of Sam Hutchinson, Henri Lansbury and Marcus Tudgay – and of course now Greg Halford too who serves a game suspension having picked up his fifth booking of the season at Barnsley. This of course opens the door for Elliott Ward to make his starting debut for us in defence. As for Millwall, they are without Alan Dunne through suspension and Paul Robinson through injury. One perhaps to watch for them is winger James Henry who you might well have forgotten had about 3 minutes as a Forest player in 2006-07! So, whilst we’re on a good run of form so are Millwall – whilst we’re starting to sniff around the periphery of the playoffs the Lions could launch themselves into the top ten with a positive result at the City Ground. Both of us are unbeaten in five, with Forest having the edge by winning three of ’em with our visitors winning two of theirs. On paper we should be looking to get the win in a game like this at home, but despite our recent upturn in form and some positive performances I can’t quite let myself be too optimistic just yet. Perhaps it’s all those years of assorted incompetence affecting my ability to trust – but Sean O’Driscoll alluded to it after the Barnsley game – we’re not quite there yet – and our defensive lapses worry me. That said, going forward we’ve been looking dangerous and we are starting to convert our opportunities into goals – be it through good fortune (Halford’s shank) or excellent passing and finishing (Cox’s lovely through-ball to Jenas and his subsequent lob). This is promising, because we’ve evolved from not-creating through creating-and-missing to creating-and-scoring – this is a much needed step. Just as we’ve been improving in that direction I do think we need further focus on keeping the ball out of our net. It will come though, we are – as has oft been said – somewhat of a work-in-progress, and if that progress is moving in the right direction then I for one am happy to do my best to enjoy the ride from the stands. If Millwall come to play it could be a very interesting open game with goals in it, but if they come to close up shop then we could be in for a frustrating afternoon – and lots of parents with bored children (with it being a kids for a quid match). Ah, Barnsley. That place we can never seem to get a win! My first away trip to watch Forest in the league was to Oakwell, I think we lost 1-0 – my abiding memory of the day were the home fans singing the Hovis song to us interspersed with yells of ‘Scabs’. I don’t think I’ve ever seen us get three points up there. The only other thing of note I can think of was their club crest always inexplicably reminds me of The Village People. I do think it could be greatly enhanced by the inclusion of a Red Indian Chief, a Motorbike Cop and a Cowboy. Barnsley are 17th in the table, and on paper you’d fancy your chances on a trip to play them – but of course, we’ve got our record there to consider too. With Ayala likely to miss out due to a hamstring injury our defence will be reshuffled – Hutchinson is still injured so it seems likely Moloney will come in and Halford will move to central defence. Sean O’Driscoll did hint at the possibility of loaning in another defender to try to cover the lack of numbers at the back, although he’ll need to get a wriggle on to do so in time for the match. Adlene Guedioura is unavailable in midfield as he completes his latest suspension. The home side are looking short on firepower up front – Craig Davies is injured and Mido is unfit, and manager Keith Hill is hoping to bolster his strikeforce before the game with a signing. Forest are unbeaten in a few games now – four to be precise. In our last six we’ve won two, drawn two and lost the latter two. 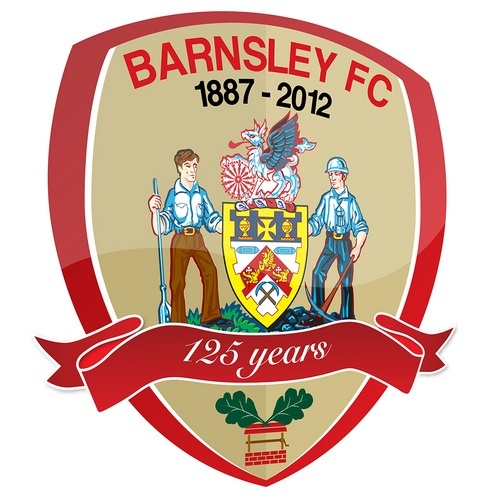 Barnsley are unbeaten in their last two games but did taste defeat in both games before that. Their last game at home was a decent point against Palace on Tuesday night – their home game prior to that saw them lose to struggling Peterborough. The biggest stumbling block for this game for us might be the man in the middle – remember Kevin Friend anyone? I was wondering why his name was lodged in my mind – he once disallowed a perfectly good Earnie goal for us against, of all people, Barnsley at Oakwell – but the main cause of consternation was his part in that horrific trip to Oldham where we lost 5-0. Admittedly he wasn’t to blame for how awful we were – but he did send off Sammy Clingan for no reason at all! Not that I hold a grudge or anything, you understand. On paper, definitely winnable. In practice? Well it’s always more complicated than that isn’t it? I’m hoping as ever for us to approach the game positively and play to our strengths which seems to be the case more often now we’re building a decent run of results and the resultant confidence that goes with that, but the Tykes are going to prove awkward opponents nonetheless. Apologies for the radio silence – unforeseen circumstances, hopefully resolved now. Anyway, we played Peterborough away and won thanks to a superb Andy Reid goal – but still we’re finding goals hard to come by, I’d love to see us score a tap in or three! This weekend we welcome the league leaders to the City Ground. Cardiff City are rebranded this year as, erm, the Redbirds presumably this year on the whim of their Malaysian owners – although with this obviously clashing with our colours we’ll see them in their more familiar blue strip on Saturday. Whatever colour they are in, they represent a significant challenge. Malky Mackay’s side are top of the pile, a point clear and have won their last three games. Our internationals have had no problems upon their return, whilst Lansbury, Jenas and Hutchinson have taken part in light training but remain doubts for the game. Tuds is back in full training following his hernia operation but again, will be a doubt. Dex is serving the last game of his suspension for his ridiculous red card. As for them, Bellamy faces a late fitness test as he recovers from a knee injury, whilst recent injury victims Mutch and Smith will be available to travel. Recent form and strength might seem to favour the visitors – indeed, looking at our historical record against the Welsh side would suggest they have something of a hoodoo over us – they’ve beaten us 21 times over the years to our 13 times over them. So you could say we owe them one! I suppose the international break came at a less than ideal time for both sides in terms of momentum – but with suspensions making our injuries all the more frustrating, it might just have benefited us more. That said, it’s hard to not look at Cardiff’s squad list and not find it a pretty daunting prospect, and that’s not to disparage our own lads. Hopefully we should see a game set up for some football, which will be the first time in a while. We’ve responded fairly bleakly to more agricultural visitors to the City Ground of late, so I’m hoping to see a side try to come and match football with football more and give us the opportunity to hopefully start getting back to what we’re good at. Still struggling to predict a win for us, though. Tough game.